Hendrick's Gin is a popular Gin available from Waitrose Cellar in 70cl to buy online. Visit Waitrose Cellar for the best price for 70cl of Hendrick's Gin or compare prices on our other Gin products. A true heavy weight in the Gin world it is not surprising that Hendricks Gin has won a Double Gold medal at the WSC as well as being several respected connoisseurs Gin of choice. Made only in small batches using a turn of the century still in Scotland it is blended with more than 10 different flavours creating a distinctive taste and style. Where to buy Hendrick's Gin ? Hendrick's Gin Supermarkets & Stockists. 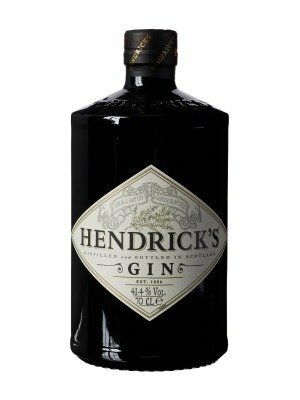 You can buy Hendrick's Gin online in most retailers and find it in the Gin aisle in supermarkets but we found the best deals online for Hendrick's Gin in Waitrose Cellar, Amazon.co.uk, Tesco Groceries, 31dover.com, DrinkSupermarket.com, TheDrinkShop, and others. Compare the current price of Hendrick's Gin in 70cl size in the table of offers below. Simply click on the button to order Hendrick's Gin online now.